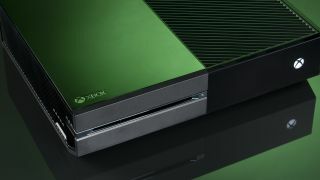 The monthly feature updates for Microsoft's Xbox One console have been mapped out well into the autumn, the gaming giant revealed today. Answering fan questions, Xbox chief Phil Spencer said the content of the feature-rich updates has been planned through October, while monthly boosts will continue thereafter. He tweeted: "We've worked through the feature list through October. MUs [Monthly Updates] will continue and features look good." Microsoft has made no secret of the fact the Xbox One is a work in progress, which will continue to improve throughout the console's life span, through regular updates and additions. The next update, due in August, will bring remote purchases, through Xbox SmartGlass or Xbox.com, to the console. It'll also see the addition of an on-screen warning when the controller's battery is low, the ability to turn off notifications when watching video, an improved social activity feed updates and 3D Blu-ray compatibility. Spencer also told Twitter followers the firm is focused on improving install and load times for the console, but stopped short of mentioning when this will be addressed in a monthly update.